Welcome to Japanese Auto Clinic! Japanese Auto Clinic has been in business since 1986. We have been keeping your cars, trucks, and SUVs running in top shape, whether that involves oil changes to replacing your engine. Specializes in Japanese vehicles; provides top of the line check-ups and diagnostic equipment to fix air conditioners, timing belts, brakes and engines. At Japanese Auto Clinic, we all work hard to bring you "Trust" in "Honesty". Our goal is to satisfy our customers with "No-coming-back" for the same repair, and to grow a long-term relationship by offering commitments that are hard to find out there in these days. 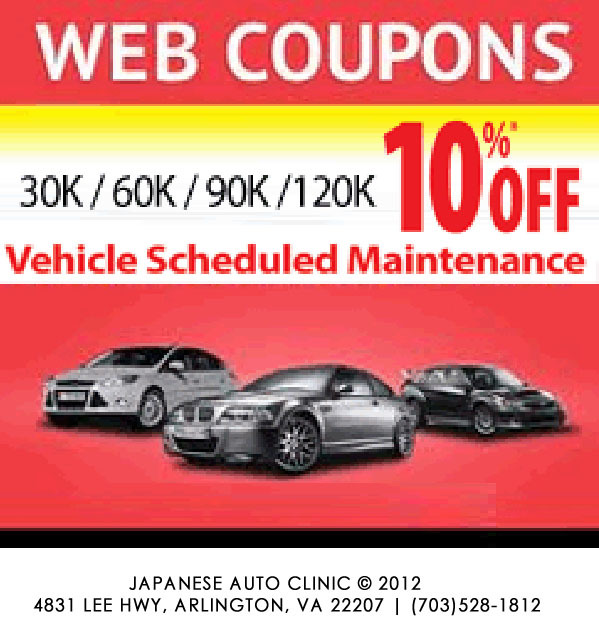 Japanese Auto clinic is the answer for all your automotive needs. Our experienced technicians are ASE Certified, and Japanese Auto Clinic is here to keep your vehicles, healthy, happy, and strong.